Meet Binglan, a happy DAT Bootcamp customer who recently conquered the DAT. 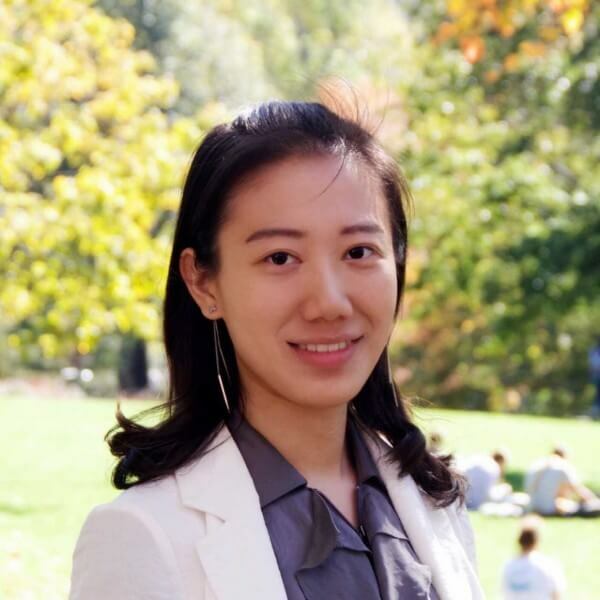 I’ve asked Binglan to share her DAT experience with us as the featured student of March. Making a comprehensive and adjustable study schedule that you can stick with is key to confident DAT preparation. Keeping things on track and understanding your study progress is what makes the long-term preparation process rewarding as you accomplish tasks day by day and see how much you have improved. What I mean by “comprehensive” is that it’s important to know how much time (hours, days or weeks – whatever you’re comfortable with) to study for each section, and if there is a section (e.g. PAT, RC) you should do on daily basis. Ari’s study schedule is a great place to start with. I also find the “DAT Bootcamp Study Group” on FB very supportive. People with different backgrounds post their breakdowns and study schedules – there’re always people you can relate to and learn from. By “adjustable”, I would suggest reviewing your study progress at the end of each week and make necessary changes accordingly. Unexpected things can happen and you may sometimes feel you need more time on a subject. It is good to leave a day or two blank in the weekly schedule to catch up with work and refresh yourself. I felt making and following my schedules kept things organized and calmed me down especially when the test was coming soon. It also took away some pressure on the test date due to the preparation all the way. Good luck on studying! 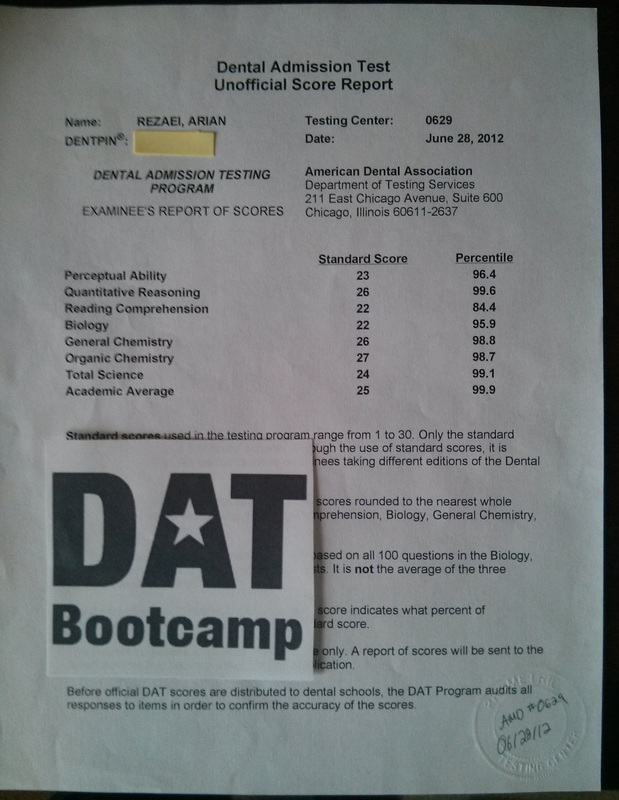 DAT Bootcamp was my top source for DAT prep because of the rich materials and the supportive team who’s there to help. I utilized most of the resources that Bootcamp offers. From content review to practice questions, I found them very helpful. The “Question Bank” function wasn’t added then when I studied but I think it can be a great resource if you want to practice by topic or test yourself right after reviewing the material. 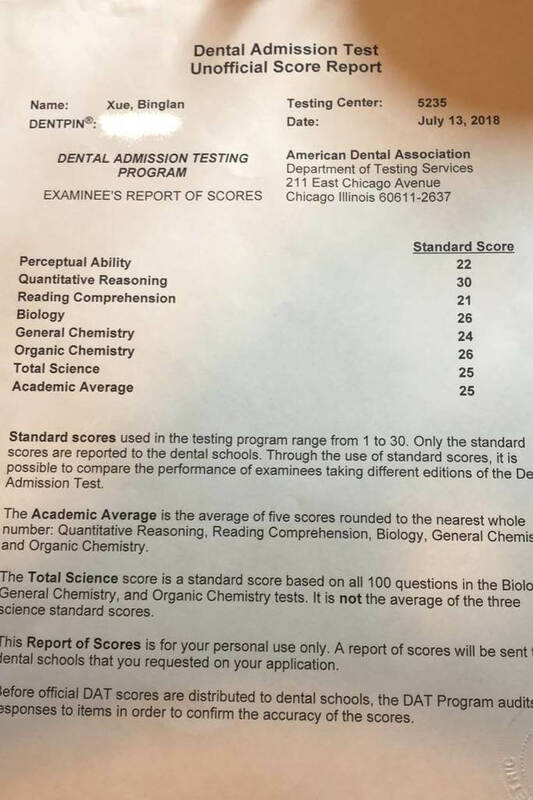 The practice test was another great place to learn and become more proficient. I found the “explanation” and “further details” in the practice tests very helpful when doing test reviews. I often organized important information mentioned there into my doc for later review. It allowed me to put together materials and make connections for better understanding. I would read the Bootcamp academy (a 500-page pdf then) from cover to cover for the biology section. I noticed the note half-way through my biology content review so I only read the chapters I felt most unfamiliar with. It was put together in a very organized way with logical flow and was clear and easy to read, gaining me confidence in my weakest topics. I would also start practicing the PAT section earlier. I didn’t practice the PAT until three weeks before my test and was quite thrown off by the number of questions I had to complete within an hour. I practiced PAT for 1-2 hours per day and luckily, it really made a difference in terms of my speed and performance. It’s not hard to imagine if I practiced from the first week, I could have done better and felt less pressured towards the exam. If you have questions, feel free to message me on Messenger (Binglan Xue).